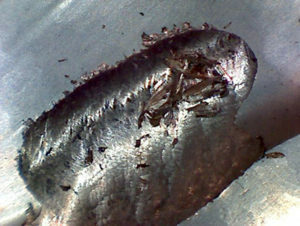 Microbiological Corrosion and how SpiralWeld™ is helping combat the problem. 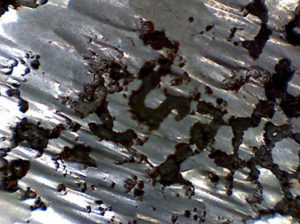 Microbiologically influenced corrosion (MIC) is metal deterioration a result of the metabolic activity of various Microorganisms. 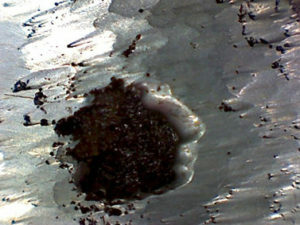 Microbiologically influenced corrosion is also known as biological corrosion and microbial corrosion. 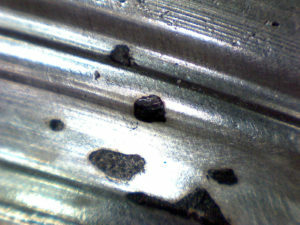 This corrosion is promoted or caused by microorganisms, typically chemaoutotrouphs. 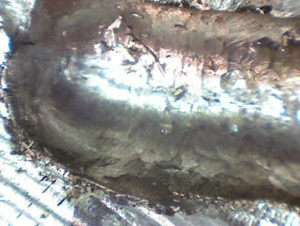 This type of corrosion applies to non-metalic objects as well as metals. 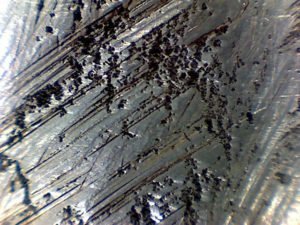 For instance, aerobic bacteria such as acidithiobacillus thioxidants can cause significant corrosion as it serves as a factor in biogenic sulfide corrosion. Such bacteria can be both aerobic and anaerobic. For instance, sulfate reducing bacteria (SRB) is considered to be accountable for many instances of hastened corrosion to offshore steel as well as ships, although it only exists in stagnant, deep water. In surface sea water, other specific types of micro-organisms are are responsible for catalyzing the reduction of oxygen in the biofilm, leading to the formation of hydrogen peroxide. 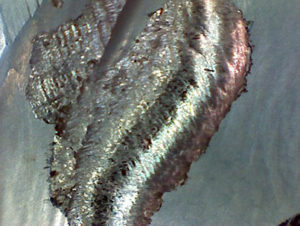 These are are typically related to accelerated corrosion pitting attacks involving stainless steel. 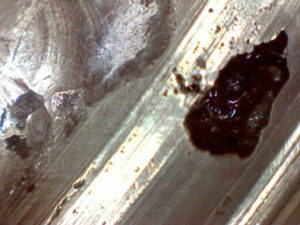 If this is left untreated this can cause stress raisers and components can begin to crack. 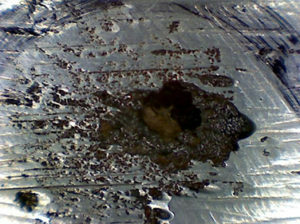 As seen below this bacteria causes what is know as pitting. 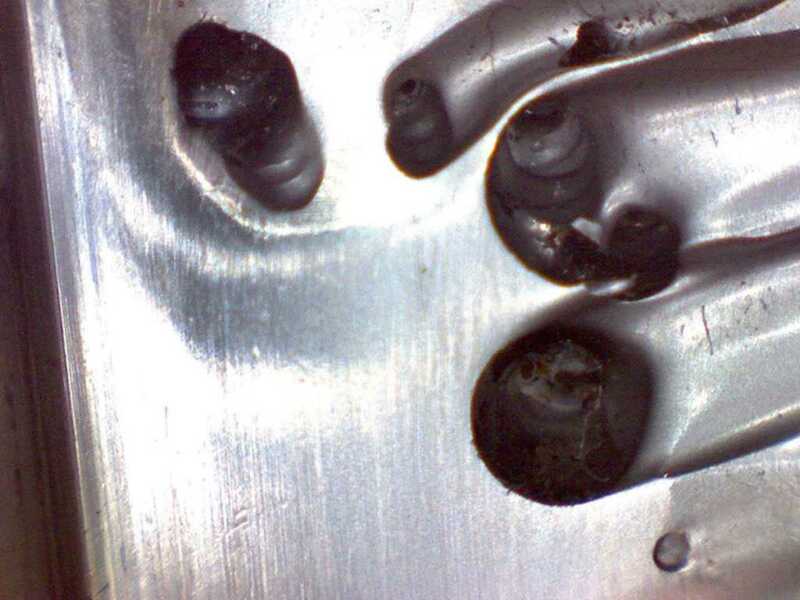 At SpiralWeld™ we see the results of this problem occur often and have developed a structured set of procedures to combat and eradicate the damage done by these microorganisms. 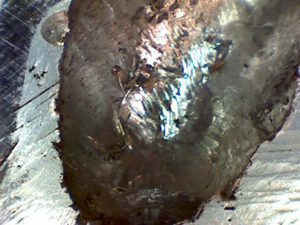 At SpiralWeld™ we microscopically examine the components to identify and map the MIC corrosion. The picture below shows the microbes at x 250 magnification. 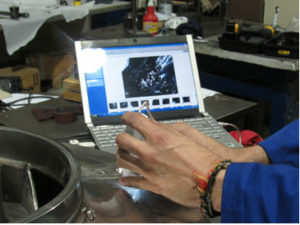 At the first stage we examine and identify the damage done with the use of a microscope at X250 magnification. 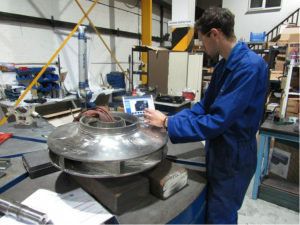 At the second stage we grind out the damage done and remove all the imperfections. At the third stage we re-examine all the damaged areas microscopically at X250 magnification to ensure that all of the infestation has been cleared out. 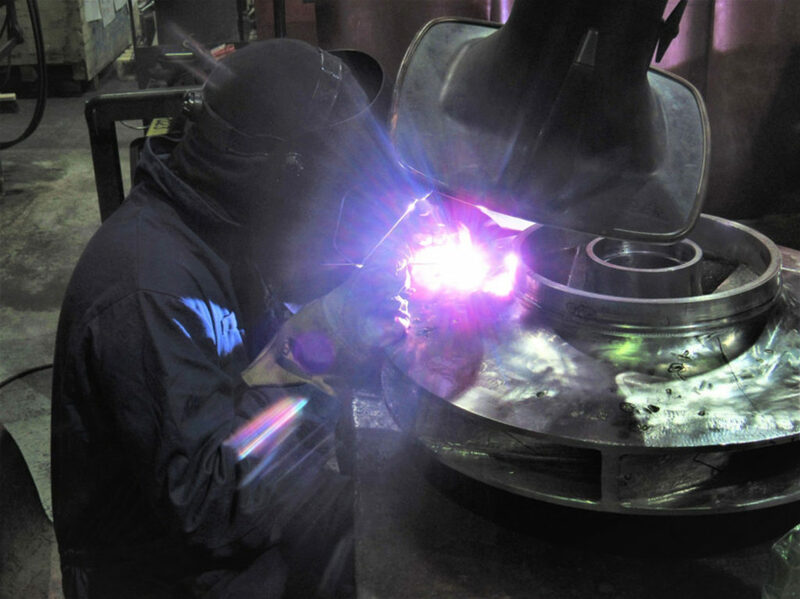 At the fourth and final stage we TIG weld (Tungsten Inert Gas) to recover the craters or pits caused.